He's truly the Aria of this series. Riverdale is my new obsession. 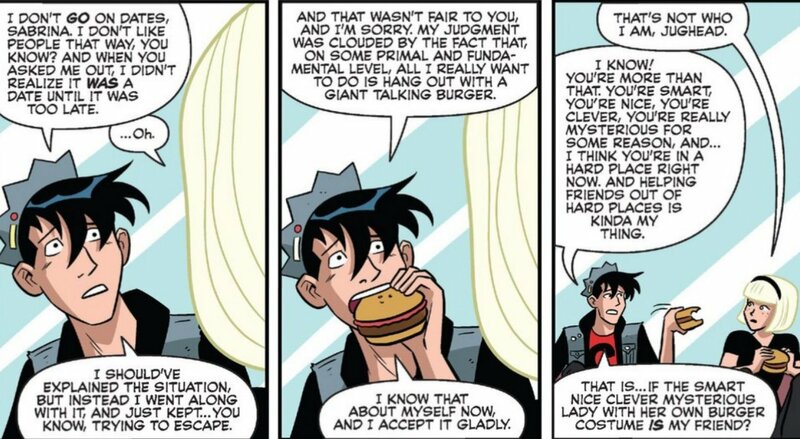 Can we all agree that Archie is the worst and Jughead is bae? Okbyeee! Sorry I meant Aria from Pretty Little Liars because it always felt like she was a part of a different show. Also, I was pleasantly surprised that the writers brought up the way Archie treated Val. She deserved better. ddd Josie is on every promo material for the show yet she is barely in the show itself. I don't know maybe it's just me but I always felt like Valerie is more interesting. She was the most interesting character in Josie & The Pussycats movie and she is the most interesting member of the Pussycats in this show. Maybe it's just writers prefer her more. I hope there will be Josie & the Pussycats spin-off. 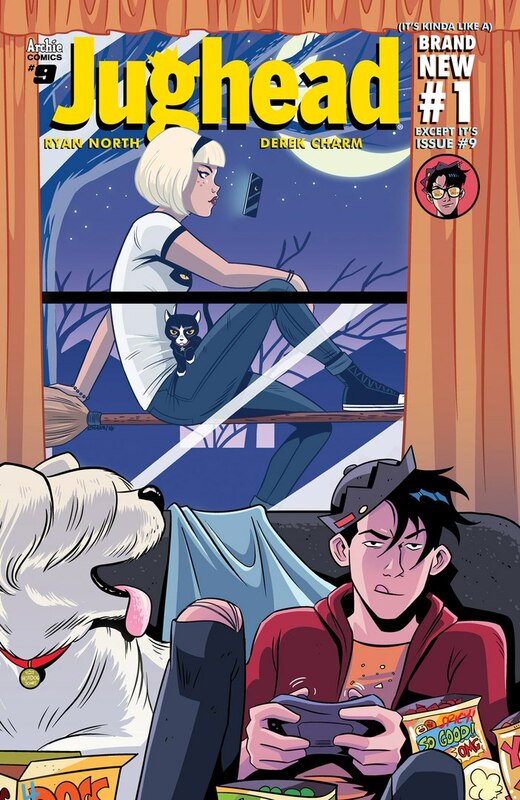 I want Jughead (well, I actually want Time Police show but it's too early and too similar to Legends Of Tomorrow), Sabrina & Josie And The Pussycats to have spin-offs. (04-09-2017, 02:22 PM)Octoberscorpio Wrote: Sorry I meant Aria from Pretty Little Liars because it always felt like she was a part of a different show. Also, I was pleasantly surprised that the writers brought up the way Archie treated Val. She deserved better. Right. Maybe she was too busy filming her Netflix thing 🤔. It could be a possibility that the writers prefer Valerie more. I vaguely remember the Tv show from when I was younger, but I also need to watch the movie soon. It was really surprising when they started to incorporate Valerie more with the main cast. Poor Melody though she's barely said anything. I would definitely support a spinoff of J&TP if they decided to do that. Oh yeah Time Police could be fun, but you're also right to think that it is too similar to Legends. Who knows how many seasons Legends will have( it's actually the only arroverse show I actively watch). It would've been cool to watch and a lot of the fans I've seen prefer Jughead over Archie. I do feel like they have plans to create a spinoff for Sabrina and Josie & The Pussycats depending on how well the audience reacts to the characters. I'm also excited for Sabrina's cameo at the end of the season! Cole did an AMA on reddit! It's pretty interesting. Quote: If you had to, what show would you want Riverdale to crossover with? sabrina the teenage witch. there are rumors circulating already, and because it's an archie comics property, it would be an easy integration. (04-12-2017, 11:35 AM)Octoberscorpio Wrote: Cole did an AMA on reddit! It's pretty interesting. I stopped watching tbh lmao, is it worth getting back into? (04-13-2017, 11:30 PM)Tee Wrote: I stopped watching tbh lmao, is it worth getting back into? (04-13-2017, 07:13 PM)Octoberscorpio Wrote: Oh really? I didn't know that. Ah okay. That's pretty cool. Aww . I can almost see this happening in season 2. I just want to find out who killed Jason. It's starting to look like it might be a parent.